Mountains to downtown Victoria from atop Mt. Finlayson. Relax at the top with snacks and refreshments. Take in the stunning views. Hike back down to Goldstream Park or walk out the back way – less strenuous. Optional: walk around Goldstream Park and the ranger station. Return to your hotel or cruise ship. Transportation to and from Mt. Finlayson. Bottled water and energy bars for the climb. An online gallery of digital photos shot during the hike. Contact us for details or to book your tour. 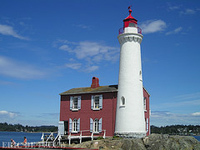 See all that Victoria has to offer. Starting from your Victoria hotel or cruise ship, we’ll tour downtown Victoria including The Empress Hotel, the Legislature, Beacon Hill Park, and the shops on Government St.
All transportation costs – we use a private vehicle and the water taxi. A special memento of your stay in Victoria. 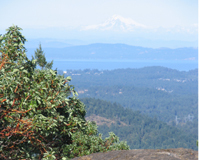 Enjoy the natural beauty of the lakes and forest of the Thetis area. Fresh air, tranquil waters and a groomed trail allows hikers of all types to enjoy this tour. Drive to Thetis Lake park. Hike/walk around the upper and lower lakes. Relax at scenic viewpoints along the way with snacks and refreshments. Transportation to and from Thetis Lake park. Bottled water and energy bars for the hike.